Our product range includes a wide range of cement primers (oil base), interior acrylic putty, chamak wall coat powder putty and cement primers (water base). Packaging Size (ex. 1L or 1Kg) 20Liters, 10Liters, 4 Liters, 2 Liters, 1 Liters & 500 mls. Application Viscosity Brushing -40 to 50 sec at 30deg C by F .C. No.4. Spraying -25 to 30 sec at 30deg C by F .C. No.4. Since our inception, we are offering Cement Primers (Oil Base) to our clients. These are used on surfaces for the water proofing. The primers are suitable to be used in cold conditions as well. Also, these products are acknowledged for their excellent adhesion and high penetration which makes it popular in the market. Our clients can avail the product in the cost-effective price range. Also we make sure to deliver the product on time. 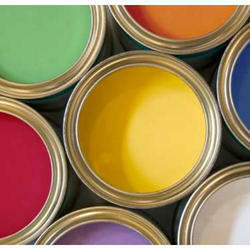 We are offering a wide array of Interior Acrylic Putty to our clients. 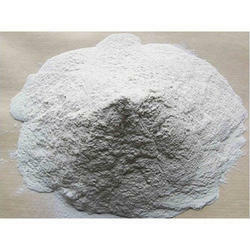 It is widely known for smooth finish, superior whiteness and quality that we offer with this product. We make sure to manufacture the product in such a way that it ensures longevity and resistance to adverse conditions. Available in multiple packaging option, these are suitable for multiple purposes and are durable as well. The manufacturing is done using the best quality material procured from our vendors. Chamak wall coat powder putty is processed using optimum quality chemical compounds and sophisticated technology as per the industry norms. Owing to its water resisting qualities, it prevents the paint from flaking, even when the surface is damp. To provide smooth and dry surface to walls and ceilings, it blocks pores and cracks perfectly. Moreover, clients can avail this wall putty at nominal prices. The coverage area on normal smooth mortar wall is 20-25 sq ft/kg/mm in double coat. The coverage area will however will depend on the substrate. Coarse Putty levels the wall surface. Fine Putty provides a thin skin-coat, which acts as a protective base for expensive paint. Exterior & Interior Walls of any building where an aesthetic/decorative coating is desired. Buildings like Houses, offices, Shopping-Malls, bunglows, Outhouses, Farmhouses, Stadiums, Trade & Technology Parks, Educational Institutes, Convention Centers, Airport & Railway Stations, Operas & Theaters, Museums & Exhibition Halls and even Flyover Walls. Use Chamak wall putty-fine on plastered surface, as a protective base-coat before you apply expensive paint. If the plaster is made with Grey Cement, use Chamak wall putty-coarse to level the surface. Generally, a 6-10 mm coat of this product will remove the undulations. Over Coarse Putty substrate, apply 1.0-1.5 mm coat of Chamak wall Putty-fine, to smoothen the surface and provide a protective undercoat for expensive paint. 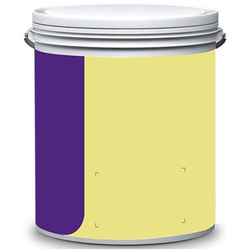 The White base will also ensure that the true tone of any shade/colour of paint will stand-out especially pastel shades. We have been spotted amongst the top most firms offering Cement Primers (Water Base) to our clients. It can widely be used as a water base primer for subsequent coats of distemper and plastic emulsion paint. We have a team of skilled workers who looks after the manufacturing process in order to offer a quality oriented range to our clients. It has excellent brush ability, coverage and is alkali resistant and fungus resistant. 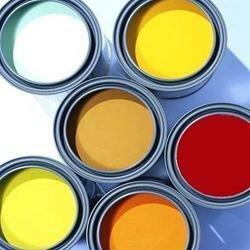 Looking for Interior Decorative Coatings Primers & Putty ?